Zimbabwean officials, eager to lure China to prop up the country's waning economic fortunes, were left with egg on their faces when a visiting Chinese tourism delegation pointed out that the messages of welcome displayed at Harare International Airport upon their arrival were in Korean. "I think you have to create a good image among Chinese people. The first impression that you get when you hear about Zimbabwe is that it is not safe and is poor, although this is not what we have seen. In fact, it is Africa's paradise," said a member of the visiting Chinese group at a press briefing this week. But it became apparent at a media briefing that the Chinese were not impressed by being greeted in the language of their great rivals, the Koreans. 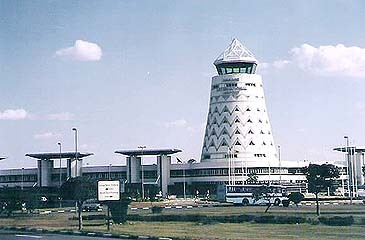 "We arrived at the Harare International Airport and felt embarrassed to see messages meant for the Chinese written in Korean," said a member of the delegation. Zimbabwe Tourism Authority (ZTA), in a bid to save face, said the organisation now would hire Chinese translators to correct the error and avoid similar ones in future. "We have been trying to teach our own people to speak Chinese but without much success," said Givemore Chidzidzi, ZTA marketing and communications manager. "We now fear using the wrong language, writing Korean when you think you are writing Chinese." National airline, Air Zimbabwe, is also making frantic moves to recruit Chinese-speaking flight attendants as it struggles to lure tourists to improve business on its Asian routes. "We are currently training our crew to speak Chinese and for those who travel regularly to China you might have heard a few greetings in Chinese, things like welcome on board, thank you and so forth," a senior Air Zimbabwe official said.